An idea is the one gift that you can hang onto even after you've given it away. Welcome to TED Radio Hour – a journey through fascinating ideas: astonishing inventions, fresh approaches to old problems, new ways to think and create. 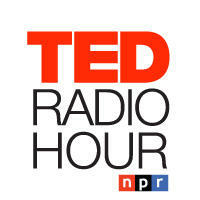 Based on Talks given by riveting speakers on the world-renowned TED stage, each show is centered on a common theme – such as the source of happiness, crowd-sourcing innovation, power shifts, or inexplicable connections – and injects soundscapes and conversations that bring these ideas to life. Host Alison Stewart talks with each speaker to probe how ideas make waves and get inside people's heads to open up a whole new picture.